For a craft beer lover who is tasting his or her way through the world of microbreweries and microbrews, this post is a super fun way to track that adventure. It's a scratch-off poster, like instant lottery tickets, and its infographic design is definitely wall-worthy. It contains most beer styles and 99 of the most popular beers representing those styles. It can be used to track styles, beers, or both. You can choose unframed ($35) or framed ($120-130). 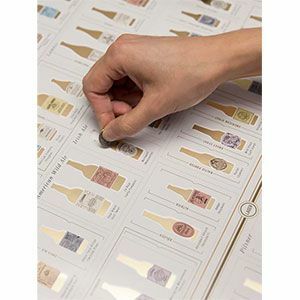 Note: The framed version of this scratch-off chart does not include a clear acrylic front panel (for obvious scratch-enabling reasons).